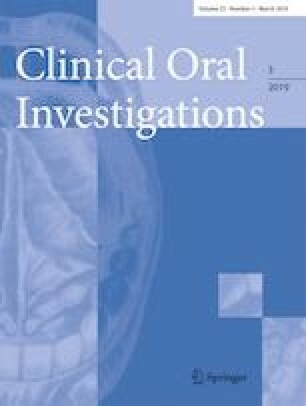 The aim of this prospective, non-interventional, multi-center, practice-based study was, firstly, to evaluate the longevity of composite build-ups in endodontically treated teeth (ETT) without post placement and, secondly, to analyze factors influencing the success of these composite build-ups. Each of seven general dental practitioners placed up to 50 composite build-ups without additional posts in ETT. Teeth were restricted to incisors, canines, and premolars. Several clinical data were recorded for 192 coronal restorations on ETT in 192 patients. Cox proportional hazard models were applied to analyze associations between clinical factors and time until failure. Within a follow-up period of 10 years, 167 restorations were judged as successful [mean success time, 110 (105–115) months] and 180 teeth survived [mean survival time, 114 (110–119) months]. The main failure type was fracture of the restoration (n = 15). The annual failure rate was 2.4%. In bivariate Cox regression, both factors such as number of restored tooth surfaces and adhesive were significantly associated with the failure rate. In multivariate Cox proportional hazards regression, none of the investigated factors were significantly associated with the failure rate. For composite build-ups in ETT without post placement, high success rates could be found after up to 10 years of observation time. Within the limitations of the present study, none of the analyzed factors such as “tooth type” or “number of restored tooth surfaces” was a significant predictor for the failure rate. Endodontically treated teeth can be successfully directly restored with composite build-ups even when no additional post is inserted. The study was registered in the German Clinical Trials Register (DRKS-ID: DRKS00012882). The authors are grateful to the dental practitioners who treated the patients and provided their data. E.K. and the network Arbeitskreis Zahnärztliche Therapie designed and planned the study; R.J.W., E.K., T.G.W., M.N., and H.M.-L. designed the study evaluation; E.K. provided the patient files; R.J.W. and T.G.W. performed the statistical analysis; R.J.W. and H.M.-L. wrote the manuscript; and E.K., T.G.W., and M.N. revised the manuscript. This study was funded by the authors and their institution. This study was a prospective, non-interventional, multi-center, clinical study without the need for local review board approval according to ethical committee of the Medial Chamber of Lower Saxony. This study conforms to the STROBE guideline for cohort studies . The study has been registered in the German Clinical Trials Register (DRKS-ID: DRKS00012882).